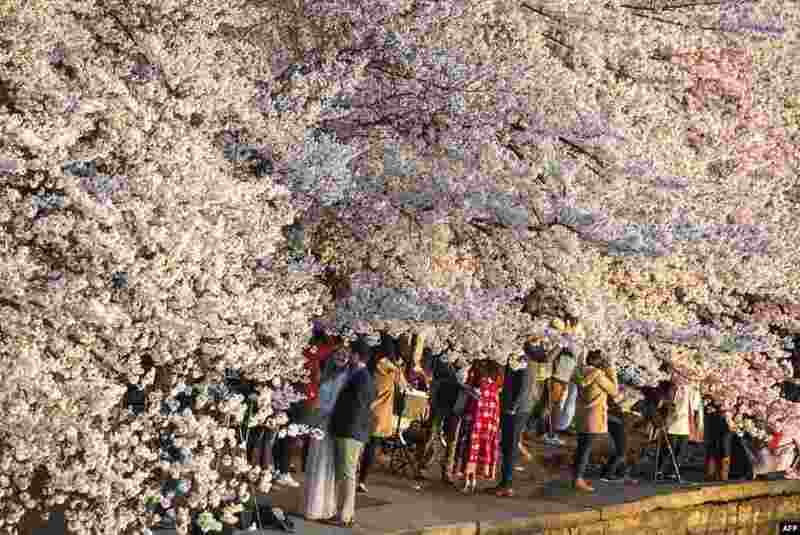 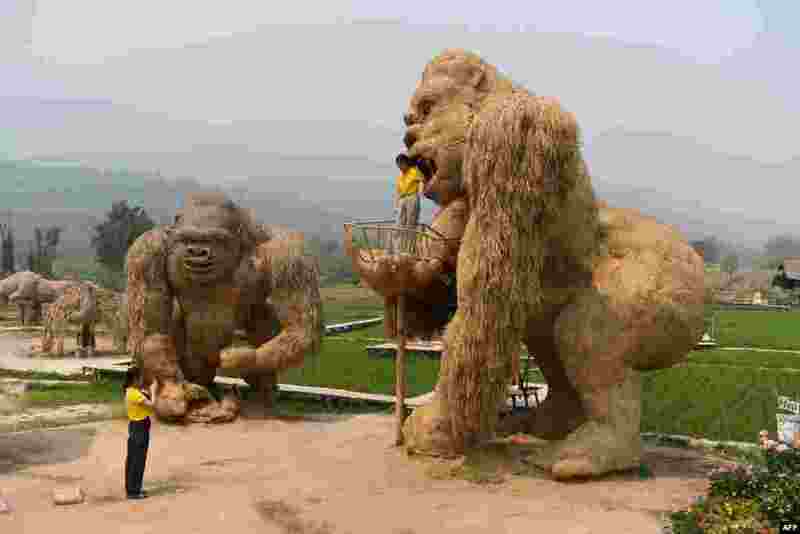 1 People walk under cherry blossom trees as the sun rises at the Tidal Basin in Washington, D.C.
2 A student has her picture taken with a King Kong sculpture made out of straw in the northern Thai province of Chiang Mai. 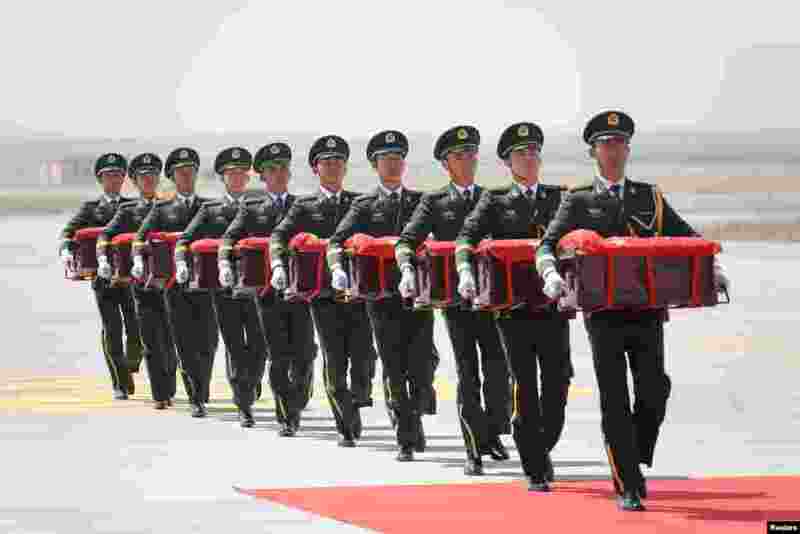 3 Soldiers of Chinese People's Liberation Army (PLA) carry caskets that arrived from South Korea, containing remains of Chinese soldiers who fought in the Korean War, at an airport in Shenyang, Liaoning province. 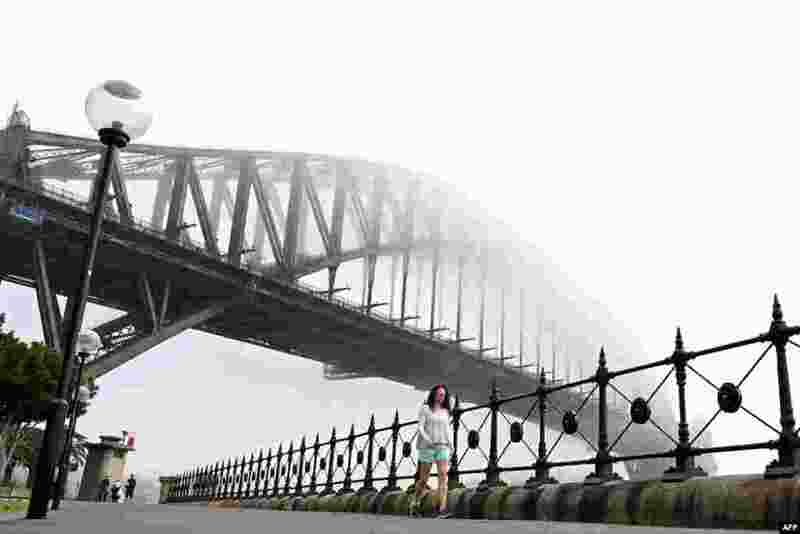 4 People walk under Australia's iconic landmark Harbour Bridge in Sydney, Australia, as heavy fog blankets the city.